Cathay Pacific is the main carrier for China’s Hong Kong Special Administrative Region, so it might not seem to be the best fit for flyers based in North America. But if you need to do a lot of travel to Asia from the U.S., it’s a very safe bet: It won the 2014 Skytrax Award for Worlds Best Airline. The airline recently added its sixth nonstop route between the U.S. (Boston) and Hong Kong, which is already served by Chicago, Los Angeles, New York JFK, Newark and San Francisco in the U.S., and Toronto and Vancouver in Canada. As a member of the oneworld alliance, Asia Miles offers the opportunity to secure award flights not only in Asia, but also closer to home, according to distance-based award charts. For flights close to home, this means you can get a round-trip between two cities 601 to 1,200 miles apart for 20,000 miles round-trip, rather than the usual 25,000 you’d pay with many domestic carriers. 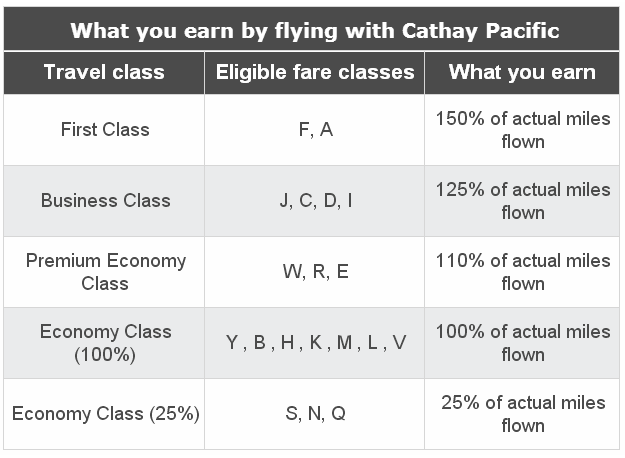 How Can You Use Cathay Pacific Asia Miles? 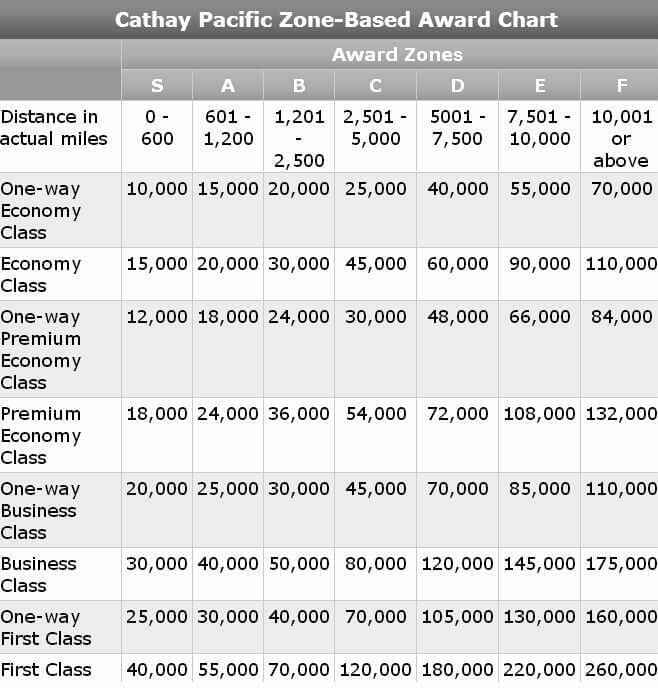 Cathay Pacific uses a distance-based award chart, similar to alliance partner British Airways. 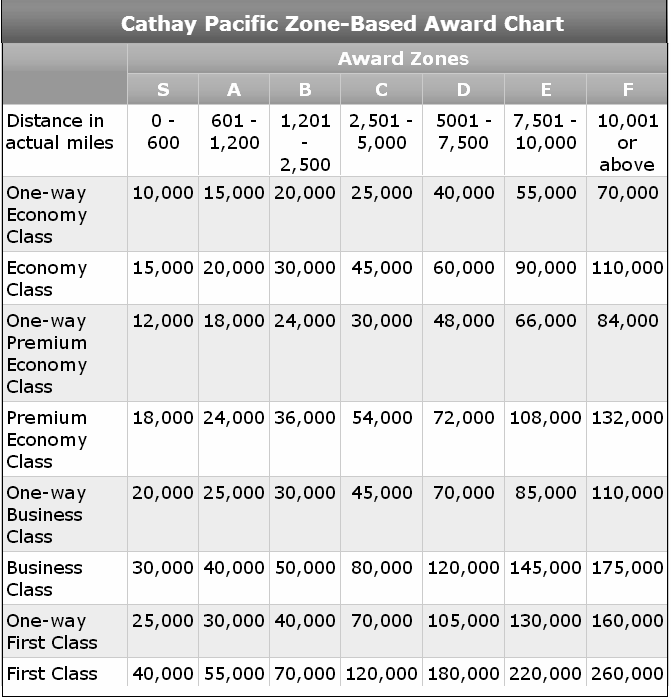 But it’s more accurate to say that it uses several distance-based award charts, depending on where you’re flying and if you are using Cathay on the route. One chart governs flights on one or two carriers when Cathay Pacific is one of the two. Another chart governs flying two or three airlines when Cathay Pacific is one of the three. 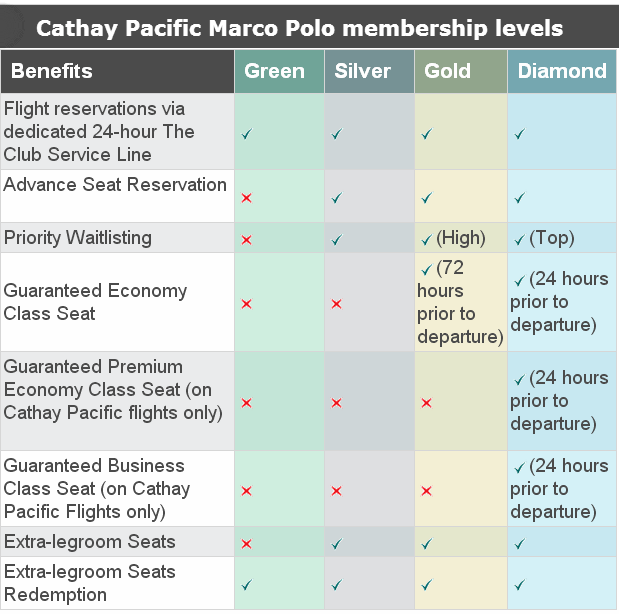 And yet another governs rates for priority awards on Cathay Pacific a higher-priced option with more availability, often called a standard award on other airlines. A welcome departure from other distance-based frequent flyer programs is that the cost of your flight is determined by the overall miles in your itinerary, not separately for each leg. So if one leg puts you into a more expensive distance-based award bucket, you won’t be penalized. If you don’t have enough miles for the flight you want, the Asia Miles Top-Up option allows you to create a sort of custom-miles-plus-money ticket at a rate of $60 per 2,000 Asia Miles, as opposed to the usual $65 per 2,000 Asia Miles. Now that American Airlines generation oneworld tickets are out the window, as part of the merger with US Airways, Cathay Pacifics longer distance-based awards offer an excellent opportunity for a round-the-world journey. With their chart for two or three airlines including Cathay Pacific, you get five stopovers, two transfers, and two open jaws anywhere in the itinerary. Depending on how much your itinerary takes you north and south, you can fit this into the 20,001-to-25,000-mile bucket for 110,000 Asia miles in economy, 160,000 in business or 235,000 in first class; the 25,001-to-35,000-mile bucket for 130,000 Asia miles in economy, 190,000 in business or 275,000 in first class; or go all out in the 35,001-to-50,000-mile bucket for 150,000 Asia miles in economy, 220,000 in business or 335,000 in first class. The first class redemptions are a bit exorbitant unless you want to tease out some stopovers and open jaws on a long-haul award. But the business class rates are great. As with many airlines, you don’t get great value using Asia Miles to fly on Cathay Pacific’s extremely well-regarded upper class cabins when you book directly for long-haul flights to Asia. If you use American Airlines to book a business class flight between the U.S. and Hong Kong, it will cost you 110,000 miles round-trip in business or 135,000 round-trip in first. On Cathay Pacific, that same flight could run you from 125,000 to 145,000 from L.A. or 145,000 to 175,000 from Boston, depending on your route. Upgrading with miles is possible on Cathay Pacific and certain partners in certain classes. Upgrades, from economy to premium economy and premium economy to business class, are only possible on British Airways and Cathay Pacific. On these airlines, you can upgrade directly from economy to business class when there is no premium economy present. On American Airlines and Dragonair, you can upgrade with Asia Miles from economy to business. Upgrades from business to first are available on American Airlines, British Airways, Cathay Pacific and Dragonair. Upgrades are very economical, beginning at 5,000 miles for economy to premium economy on a short flight. American Express has a strong partnership with Cathay Pacific, but issues co-branded cards only in Hong Kong, Taiwan, China and the Philippines. The Royal Bank of Canada issues a co-branded Cathay Pacific card, and there are several cards available in Australia.